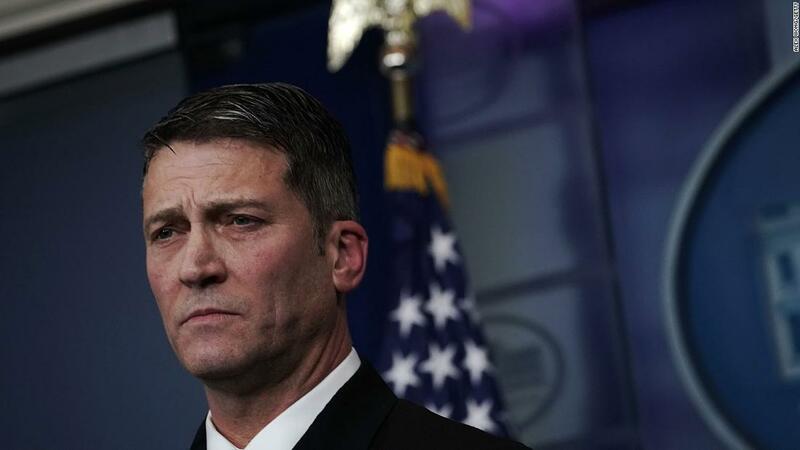 Washington (CNN) President Donald Trump has re-nominated his former physician Rear Adm. Ronny Jackson to receive a second star, even as he remains under Pentagon investigation over allegations of improper behavior. Despite the nomination, Jackson is unlikely to receive his military promotion while the Defense Department’s inspector general investigation remains active. The Senate Armed Services Committee is not expected to consider the nomination until the investigation is completed, which is typical of military nominees who are the subject of an active investigation, according to two Senate aides. Senate Armed Services Chairman Jim Inhofe’s office did not respond to a request for comment. “The White House is the one who resubmitted his nomination to the Senate and so we’ll see — there’s an investigation going on, that’s in progress so all of these things have to kind of culminate to see where we go,” said Adm. John Richardson, the chief of naval operations. Amid the investigation, Jackson has returned to the White House’s medical unit as one of the staff physicians, though he no longer serves as the physician to the President or the head of the unit. Two sources familiar with his return to the medical unit since his Cabinet nomination failed said it was unclear whether he was involved in attending to the President’s medical needs, but said he has been spotted in the unit working with his successor, Navy Commander Sean Conley. A Navy official said Trump nominated Jackson for a promotion in rank without a recommendation from a military promotion board, which typically recommends officers for presidential appointments to high-ranking military grades. President Barack Obama, who nominated Jackson for his first star in 2016, also did not rely on a military promotion board. “While promotion boards are typically used to recommend officers for Presidential appointment to the grade of rear admiral, the Constitution does not require that a Board be used,” the official said. Richardson confirmed that Jackson is serving in the White House medical unit, but said he did not know what his day-to-day duties involve. A person familiar with his duties said Jackson is one of the handful of doctors in the medical unit who are responsible for attending to White House staff and the President’s family as well as assisting in planning medical contingencies for presidential trips. Beyond the allegations regarding his workplace conduct, Jackson also drew heat for his rosy assessment of Trump’s health during a briefing on the President’s physical exam last year.